Jose has been a specialist in the addictions field for 14 years, having worked as a Senior Addiction Counsellor for Clouds House (Action on Addiction), as an Addiction Therapist for Priory Hospital Roehampton, London (The Priory Group) and as Clinical Manager for Focus12 (Suffolk) before his current role of Head Therapist for Castle Craig Hospital. 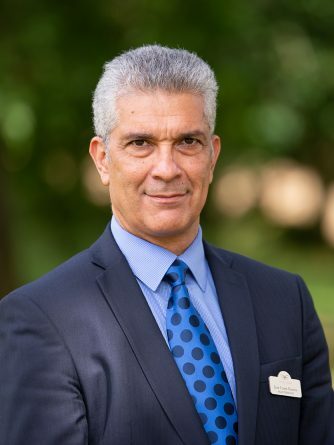 Throughout his counselling and leadership career, José’s focus has been on implementing high quality treatment services and continuing care for complex patients, with a specialist interest in Relapse Prevention, Diversity and Equality, and Systemic Therapy. Jose is registered with BACP (British Association for åCounselling & Psychotherapy) and has a Diploma, Foundation Degree and Bachelor Honours in Addiction Counselling, and a Master of Sciences in Counselling. Jose’s personal interests include sports (football and roller hockey), languages, travel and music.